According to the popular man of God, a lot of amazing and strange things will happen this year. 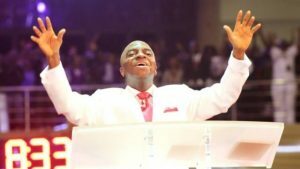 Bishop Oyedepo, whose church is popularly known as Winners Chapel, said: “Strange things will be the order of the day in the year 2018. There shall be a massive wealth transfer. “Double restoration of all that we have lost. Instant release from all spells and generational curses. Instant judgment for all adversaries. “Everyone travelling to anywhere, everybody arrives safely. Throughout this New Dawn year beginning from now, no one shall be a victim of a road accident. “Every of your desire will be delivered without struggles. Everyone set for marriage, as the Lord liveth, whose I am and whom I serve, your year of settlement has come. “It shall be your year of all-around rest — rest at home, rest at work, rest in your business, rest in your profession, rest in your career, rest in your health, rest in your spiritual life. “The year 2018 shall be your most fruitful year till date. It shall be to you a year of all-round fruitfulness We have 98 percent growth in a new birth in this Shiloh over last Shiloh. That’s a signal that the year 2018 shall be a super fruitful year for you. 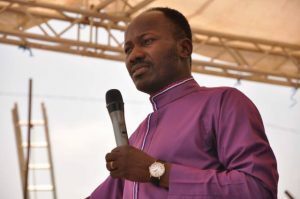 The Senior Pastor of the Omega Fire Ministries Worldwide (OFM) has not been left out of the 2018 revelations. 50. I see a group rising in the North and asking for their own nation.